Axis Of Oversteer: Who Will Replace Massa? It seems clear now that Felipe Massa, in the best of circumstances, is likely miss a minimum of three races, if not the rest of the season. Who does Ferrari have to fill in for Felipe? 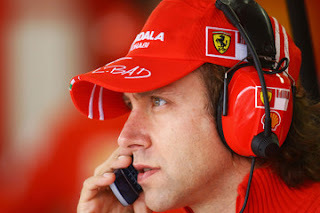 Ferrari's back up drivers are Luca Badoer and Marc Gene, two great test drivers who have not, in their previous Formula 1 careers, shown to be especially successful racers. Badoer has 56 F1 starts, no points, his last race was in 1999. 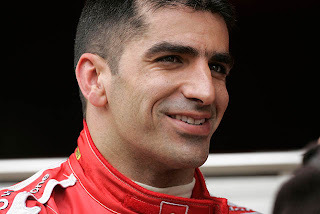 Marc Gene had 36 F1 races and scored 5 points, his last race was in 2004. Of the two, Gene is the obvious choice. It's going to come up, Schumacher coming back to help his team in a pinch. It may also be the thing to revitalize this rather negative F1 season, a story line that must make Bernie Ecclestone, circuit owners and network executives vibrate at night. Massa's condition will also determine the diver's market, throwing everything up in the air. I'm sure driver's managers are recomputing all their strategies at this point and waiting anxiously on Massa's prognosis. It's a cold world in F1. 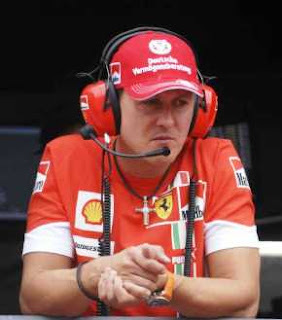 As a mere guess, I think Ferrari will resist the temptation to call Schumacher and go with Marc Gene. I'd love to see Schumi back if only to see him firing up Raikonnen a bit. give Badoer a chance... Ferrari is not fighting for the two championships, the season is already ruined. Let's give one or two races to one of the greatest "Ferrari men" in history. He stayed in ferrari even after they hired mika salo to replace schumacher. Yes it is very sad for Massa in his current situation, but it is inevadable that someone will have to take his place while he is recovering. IMO the best qualified person at this time is defonitly Bourdais. He has current experance with the new slicks/areo combonation, knows the tracks well and does have an impressive resume with the exception of his time at Rosso. Plus all of Ferraris test drivers really dont know the current cars very well as all testing done in the preseason was done by Kimi and Massa, and they havent got a chacne (leagaly anyway) to drive the car in its current configuration during the season. I have my fingers crossed for Takuma Sato to get the seat. He would be brilliant in a Ferrari! Ferrari lost it for sure this year. So it's a good time to bring a shiny fresh blood to get to know each other better. It is B. Senna that could take that seat. Massa has a Ferrari contract through 2010, there is a lot riding on his recovery. I cant believe i forgot about Anthony Davidson too. Although he is contracted to the BBC, just like DC! According to the BBC, his spokeswoman says maybe but his manager says definately not. I dont think he will, but id love to see it. According to James Allens twitter, Anthony Davidson would take the drive if Ferrari asked him. Wishful thinking i reckon!